Gorter® has been specialising in roof hatches for over 20 years. In addition to the standard versions, Gorter also supplies glazed, fire resistant, explosion vents and roof hatches in special dimensions. 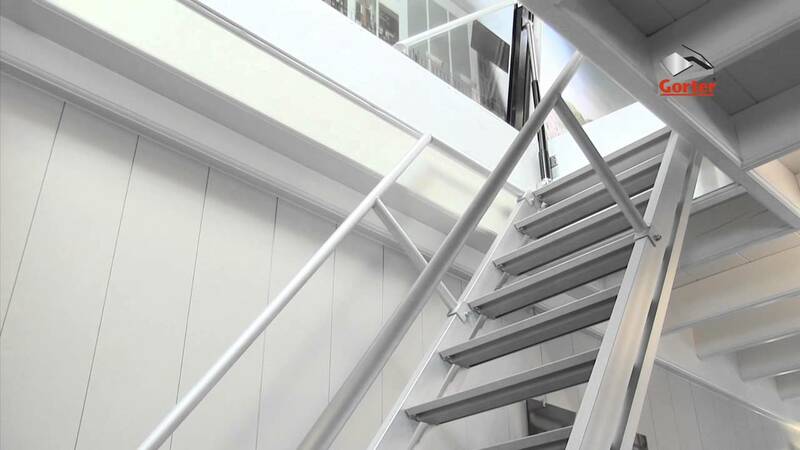 Virtually all roof hatches are available combined with ladder, fixed staircase or scissor stair. Unique properties and CE mark! Gorter roof hatches have a unique thermally-insulated construction providing insulating properties that fit in well in many instances with those of modern roofs. The RHT and RHTEP aluminium roof hatches are also the only ones on the market certified CE (ETA) and come with a 10-year warranty as standard. The Gorter combinations are also TÜV NORD-certified. All Gorter roof hatches have a cover which is completely windproof and has all-round double sealing. 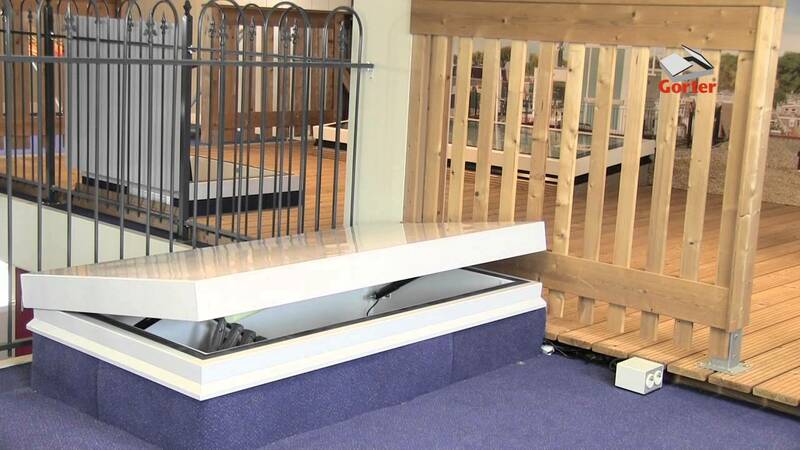 The RHT roof hatch comes with a Euro cylinder lock and, in the case of lengths over 1,400 mm, the roof hatch also has three-point locking. All Gorter roof hatches are fitted as standard with a number of convenient and safety-enhancing fittings. For instance, there are easy opening features with a counterbalancing system and controlled closing. 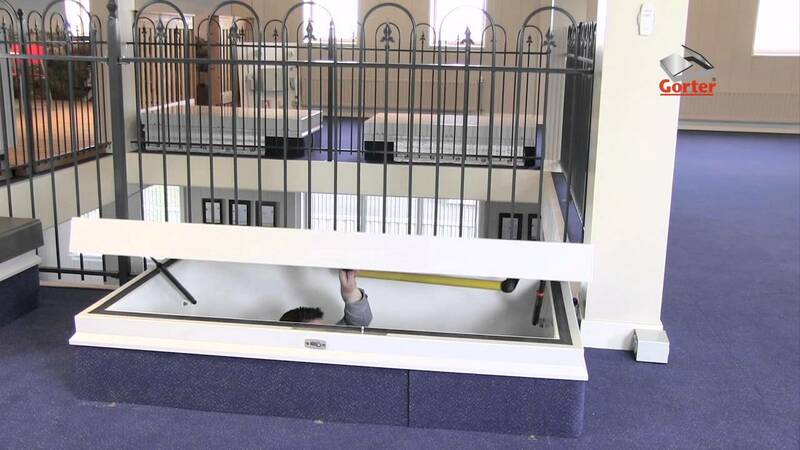 The roof hatch has automatic blocking in an open position and is always safe and easy to use with one hand. All standard Gorter roof hatches are manufactured from high-grade aluminium. This makes the construction strong, durable and not particularly cumbersome. Aluminium roof hatches are up to three times lighter than comparable steel roof hatches. This makes the hatches easy to lift and they can be installed on the roof without much equipment. The special fire-resistant versions are manufactured from steel based on the characteristics required. All roof hatches can be fitted with an electric control with a link to any building systems and sensors in place. Aside from the standard RAL colours, our roof hatches can be supplied in the RAL colour of your choice so they fit in with the overall design. The roof hatches are also supplied as special fire resistant roof hatch or explosion vent roof hatch versions. 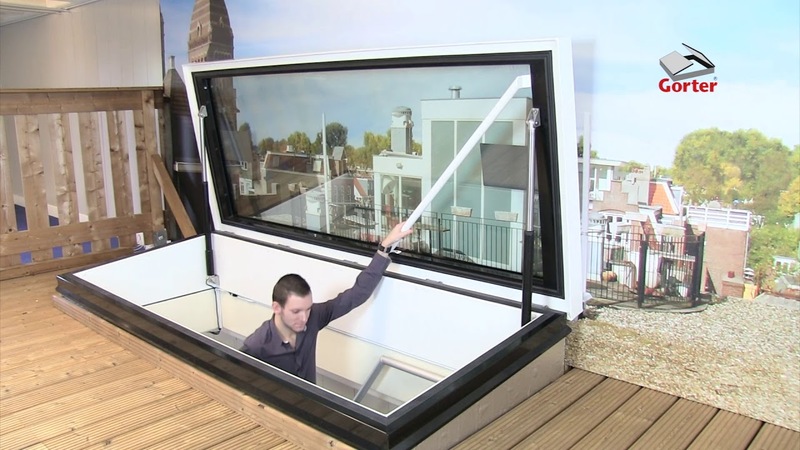 Roof hatches can be used as escape hatches, but in most situations, they provide convenient and cost-effective access to roof terraces, cooling systems, lift machine rooms, solar collectors and other facilities on rooftops. All Gorter translucent roof hatches have a cover which is completely windproof and has all-round double sealing. The translucent roof hatch is opened and closed by two powerful and compact electric motors. The Gorter translucent roof hatches are manufactured from high-grade aluminium. This makes the construction strong and durable. The roof hatch also has a durable powder coating inside and outside to keep maintenance to a minimum. For practical and aesthetic reasons, the glass panel is manufactured in a single piece and is burglary- and impact-resistant. HR++ insulating glass with an insulation value of U ≤ 0.500 W/(m².K) is used to make the environment in the room underneath even more pleasant. The glass is installed under a bleed and is thus self-cleaning. Translucent roof hatches provide convenient and cost-effective access to roof terraces, solar collectors, cooling systems, lift machine rooms and other facilities on roofs. 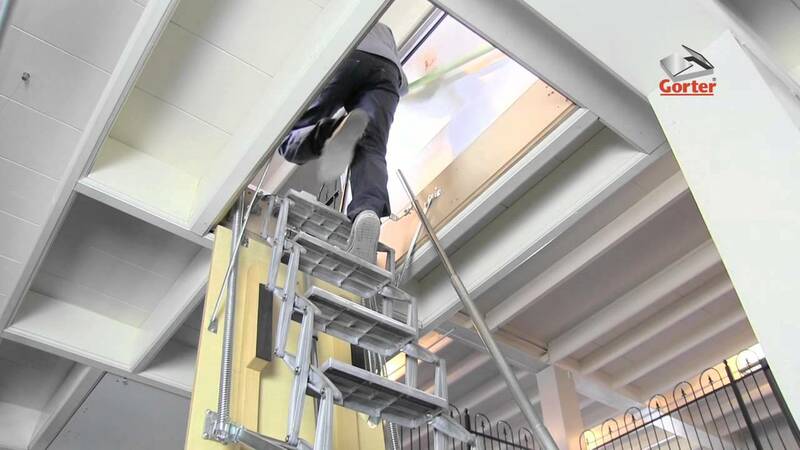 They also provide access for maintenance on the roof.